Quadriga has been online since 2013. For five years, this site has become one of the largest crypto exchanges of Canada; 360 thousand people were registered on it. At the same time, the only permanent employee of Quadriga was its founder, Gerald Cotton. He controlled the site from his own laptop – and paid much attention to security issues. January 15 on the Quadriga page on Facebook appeared a statement about the death of Cotton. It was signed by his widow and heiress Jennifer Robertson. According to her, her husband died suddenly in December 2018 during a trip to India. He went there to open an orphanage. The cause of the death of Cotton were complications of Crohn’s disease, which was diagnosed at the age of 24. At the time of Cotton’s death announcement, Quadriga users began to complain about delays in withdrawing money from the exchange; some had to wait for weeks and even months. 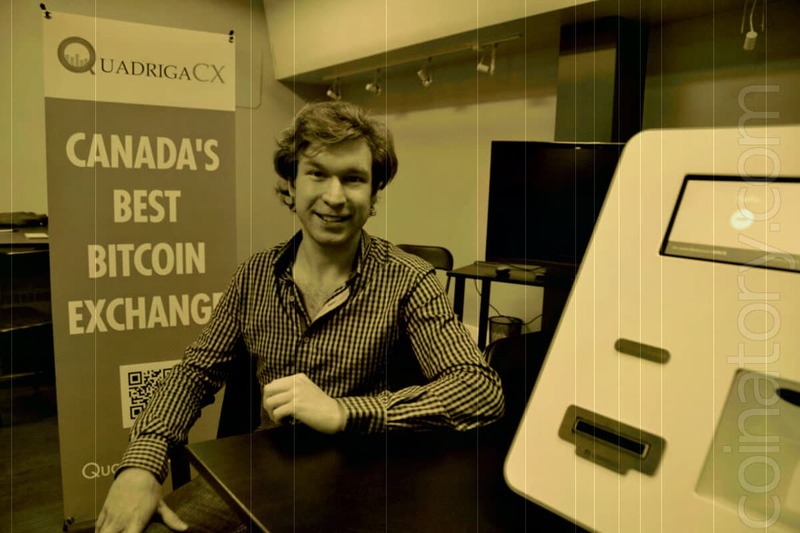 Quadriga explained this to a court with a Canadian bank CIBC, which froze $22 million belonging to a crypto-exchange company for 10 months due to doubts about their origin. The funds were later unblocked, but Quadriga still cannot get them because of the reluctance of Canadian banks to work with crypto exchanges. Nevertheless, on the day of the announcement of the death of the founder of Quadriga, Aaron Mathews, interim head of the crypto exchange, sent out a letter to the users, expressing the hope that the delays in withdrawing money would stop within two weeks. In reality, the Quadriga problems continued. On January 28, crypto exchange, which until then had continued to accept users’ money automatically, stopped working. On January 31, Jennifer Robertson, who after the death of her husband received the largest stake in Quadriga, filed a bankruptcy lawsuit in the Supreme Court of the Canadian province of Nova Scotia. She said that 115 thousand users were “stuck” on a crypto exchange. The total amount of outstanding funds is $53 million in fiat money and $137 million in cryptocurrency. According to Robertson, Cotton alone managed the users’ money and kept the main part of the cryptocurrency in “cold wallets”. After his death, access to these wallets was lost. Robertson said she never took part in her husband’s work and was unable to find any documents about Quadriga’s activities. The work computer of Cotton, where, apparently, information about a crypto exchange is stored, is protected by a password that the widow does not know. The security expert she hired to break into her husband’s computer hasn’t been able to do anything either. Robertson claims that the only money at the expense of which she, in theory, will be able to distribute debts, is the $22 million in the bank, which Quadriga has not yet been able to receive. The widow of the founder of crypto exchange asked the court to give her time to find Cotton’s “cold wallets” or to think of other ways to return money to Quadriga customers. She did not rule out that for the sake of this to sell crypto exchange. Robertson also enclosed her husband’s death certificate. Thus, she tried to dispel the suspicion of some Quadriga users who suggested that Cotton could fake his death in order to steal customer money.